School-based occupational therapists (OTs) are part of the educational team. Our role is to help students participate successfully in academic and non-academic activities that are relevant to the school day. When problems related to motor skills, responses to sensation, visual perception, attention and behavior impact student learning and participation, OT can help. 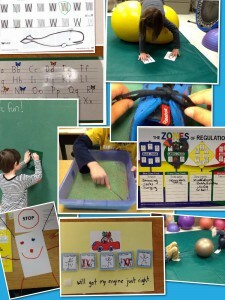 OTs support students by providing tools and equipment, working directly with student, consulting and collaborating with teachers and other team members, and working with parents.